Adolescents are often pulled in opposite directions by the desire to conform and, alternately, be an individual. As they struggle to find out “who” they are as a person, some may become uncommunicative, uncooperative or rebellious at home. At school, others will become willful and opinionated, or confused and hesitant to speak up. As young people begin to be themselves and love who they are, they will find the confidence not only to learn better, but to contribute to the world around them in positive ways. 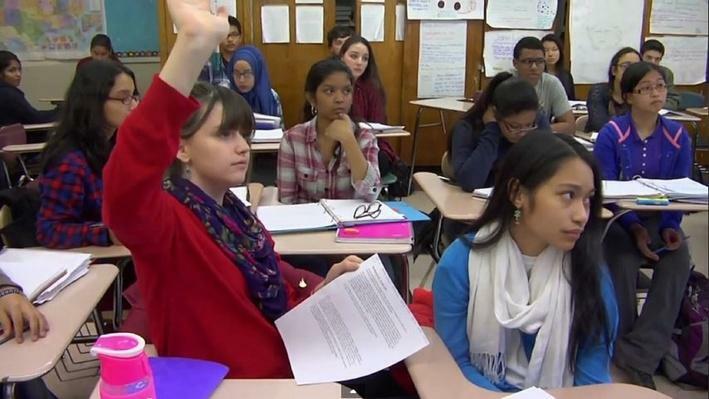 In this lesson from WGBH, students watch videos about self-acceptance and forgiveness. After watching, you can help them explore how these qualities relate to personal growth and leadership potential. WATCH. You can also learn more about the Transformative Teachers collection from which this resource is taken and The Dalai Lama Center for Ethics and Transformative Values at MIT. This entry was posted in Lesson Plans, PBS Resources, Teaching Tools. Bookmark the permalink.